LASIK eye surgery is a popular method of correcting vision defects, but many people are not LASIK candidates. If you were not a LASIK candidate a few years ago, it does not mean that you are not a LASIK candidate today. Because LASIK technology is constantly being improved, enabling people who were once turned away from LASIK to be qualified. One of the advantages of the IntraLASIK is it can allow many people who were disqualified for traditional LASIK to undergo the LASIK procedure. Is IntraLASIK All-laser LASIK for Everyone? Laser vision correction, in general, is not for everyone and some individuals will never be LASIK candidates. Qualified candidates run a lower risk of complications during and after the LASIK procedure. The best way to find out if you are an IntraLASIK candidate is by having a LASIK consultation. If you are qualified for traditional LASIK surgery, you can opt to undergo the All-laser IntraLASIK procedure. Usually your doctor will give you the choice of having your LASIK flaps cut with a blade or created with the new bladeless laser technology. Since the Femtosecond laser flap maker has the ability to create a very thin flap, a greater amount of corneal tissue remains available under the flap for treatment. Because of this, IntraLASIK is able to correct higher levels of refractive error than traditional LASIK. This also maintains the stability of the cornea and reduces the risk of severe LASIK complications such as ectasia. With IntraLASIK, tight eyelids or deep-set eyes are no longer a concern because the LASIK surgeon does not need a lid speculum to keep the eye open. 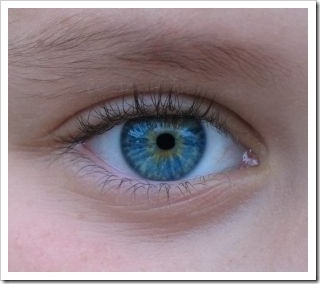 Bladeless LASIK uses a small holding device that fits on most eyes. Many refractive surgeons now use All-laser LASIK to improve the vision of people who had undergone previous corneal surgeries such as Radial Keratotomy (RK). Bladeless LASIK can also used to improve the vision after cataract surgery or corneal transplantation. The laser flap maker applies less pressure to the eye than the blade microkeratome. 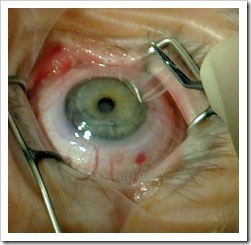 Thus, many LASIK surgeons consider Bladeless LASIK safer than traditional LASIK in glaucoma patients. IntraLASIK is the procedure of choice for blade-cautious patients. If you are one of those, be relaxed, no blade will touch your eyes. Bladeless LASIK corrects your vision using lasers from beginning to end. Do you feel you need All-laser LASIK? Let me know in the comments. "If you were not a LASIK candidate a few years ago, it does not mean that you are not a LASIK candidate today."